This award is a recognition of the late Dr Atai Omoruto (pictured), and is made in the spirit of Atai’s leadership in family medicine in Africa, inspired by her dedication to the advancement of women physicians and women’s health in family medicine, and in tribute to Atai’s exceptional courage, selflessness, and commitment to her patients with Ebola both in Uganda and Liberia. She pioneered the establishment of family medicine program at Makerere University, Uganda and was head of the family medicine department, Makerere University from 2004 to 2011. Atai was an executive member of the WONCA Working Party on Women and Family Medicine and was the recipient of WONCA 2016 Global Five Star Doctor Award in recognition of her extraordinary service as a family medicine leader over many years, her service to the people of Uganda, and her recent extraordinary leadership tackling the Ebola crisis in West Africa. Atai passed away in May, 2016. The aim of the award is to support opportunities for African women doctors whose economic circumstances limit their ability to attend WONCA regional conferences, particularly those women in their early career. · Clinical courage and selflessness in providing care to the most vulnerable populations. It is desirable that applications show evidence of high level achievement for those applicants in early career stages; evidence of work with disadvantaged peoples; breadth of activity within family medicine (e.g. teaching / research); prior involvement with WONCA activities. 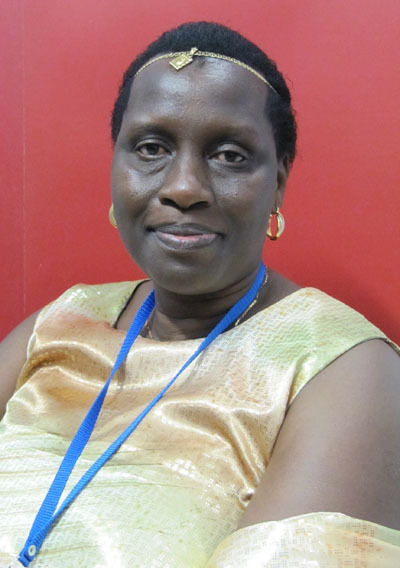 · a two-page essay stating how her attendance at the WONCA Africa regional meeting in June 2019, including the WONCA Working Party on Women and Family Medicine preconference immediately before the regional meeting) will contribute to her ability to advance her work in some or all of the above three areas of achievement demonstrated by Atai. Please send completed applications to amanda.barnard@anu.edu.au by Friday 26 April 2019. The selection panel will consist of the executive of the WONCA Working Party on Women and Family Medicine.